The first Premier League match of Gameweek 4 kicks-off at 12:30pm on Saturday September 1st with Leicester City welcoming Liverpool to the King Power Stadium. We've listed British Bookmakers best odds for Leicester v Liverpool, a preview of the game, and the betting offers and price boosts you need to know about if you're having a bet on the match. Check out the best odds that bookmakers offer for a Leicester win (H), a win for Liverpool (A), or a draw (D) below. Use the ALL ODDS tab to view more bookmakers odds. NB: Bookmakers best odds for Leicester v Liverpool correct at the time this match preview went live and are subject to change. Last updated: 10:29 on 01/09/2018. As well as bookmakers best odds, we've also listed their betting offers and price boosts that you can use when betting on Saturday's Premier League match between Leicester and Liverpool. Leicester v Liverpool will be broadcast live on SkySports at 12.30pm on Saturday lunchtime. 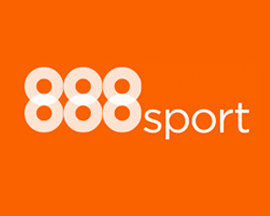 Signup at 888sport using promo '10FREE' and bet £10 on anything you want and you'll get £30 in free bets - and a bonus £10 free bet to use on Leicester v Liverpool. 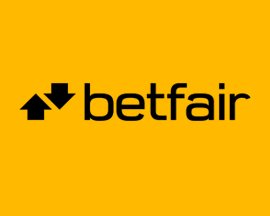 Signup as a new customer at Betfair today and you'll get the boosted the price of 30/1 on Liverpool beating Leicester. Plus, also claim up to £100 in free bets! New Customers can get Liverpool at an enhanced 30/1 to beat Leicester. Max Stake £1. Winnings paid in free bets, valid for 7 days, only deposits with cards/Paypal count. Exchange and multiple bets excluded. T&C’s Apply. 18+|Gamble Aware. Signup as a new customer at PaddyPower today using the promo code 'YFBCAL' and you'll get the boosted price of 30/1 on Liverpool beating Leicester. 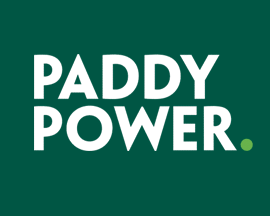 Signup with PaddyPower today and bet £20 on Leicester v Liverpool and if you don't win your bet, they'll refund your original £20 stake - in cash! Leicester, the surprise winners of the 2015-16 Premier League season, host Jürgen Klopp’s Liverpool side at the King Power Stadium for the Saturday lunchtime kick-off. Leicester v Liverpool is the first fixture of the day’s Premier League action, and although Claude Puel‘s side have home advantage, online bookmakers offer Liverpool as favourites to win. The outcome of matches between these two teams has been a mixed bag over recent seasons. Jürgen Klopp’s Liverpool squad won both Premier League fixtures against Leicester last season, however Leicester managed to beat Liverpool in the League Cup last September. The previous 2 Premier League seasons saw both teams win the home fixture, and although Leicester look good, Liverpool's current form is outstanding and haven't lost in 7 games. In the lead up to Leicester v Liverpool, we've taken a look at both team’s form to assist those of you that are planning to bet on the first match of Premier League Gameweek 4. After suffering a disappointing 2-1 loss away to Man Utd in their opening match, Leicester went on to win their following 2 fixtures against both Wolves and Southampton. Even though Claude Puel‘s side were victorious against Southampton last weekend, it wasn’t an easy win, and they had to work hard to come from behind to secure a much needed 3 points. If Puel’s men struggle against some of the lower ranked sides, securing a win against a Liverpool side that's on fire at the moment could be too much of an ask for Leicester. Fortunately Leicester aren’t missing too many players ahead of the game, with only Soyuncu (hamstring injury), and James (achilles injury), set to miss the Liverpool match. Leicester have proven in the past that they've got the ability to beat Liverpool, but they'll need to play at their best if they're to be in with a chance of even holding Liverpool to a draw. Liverpool may not have won a Premier League title in quite a few years, but they certainly look like one of the stronger teams in the 2018-19 competition. British bookmakers offer Klopp’s men as one of the top runners to not only take the Premier League title (5/2 at Bet365.com), but also as favourites to beat Leicester. The Reds have had a fantastic start to their Premier League campaign, winning all 3 of their matches to date, and currently occupy the top spot in the table on 9 points. A victory against West Ham in their opening match of the season gave Liverpool a strong start, and they then went on to secure 2 further victories against Crystal Palace and Brighton. Fortunately, Jürgen Klopp’s doesn’t have too many injury concerns to worry about and Bookmakers odds suggest Liverpool will win again against 7th placed Leicester on Saturday. Only Lovren and Oxlade-Chamberlain are doubts for the match, and given the raft of new players that Liverpool signed over the summer, Klopp has a full squad to chose from. A fourth victory would further secure Liverpool’s position before they face more challenging teams, starting with Tottenham in their next premier League outing. If Mane and Salah are on form and can add a few more goals to their tally, there's no reason why Liverpool shouldn't come away from the King Power Stadium with maximum points. Leicester and Liverpool have played each other a total of 110 times with Liverpool currently having won more of the fixtures (47 in total), compared to Leicester's win count of 39. The last Premier League fixture between these two teams took place at Anfield on the 30th of December last year and ended with a 2-1 win for Liverpool. Two goals from the Premier League's top goalscorer Mohamed Salah cancelled out an early goal that Jamie Vardy scored in the 3rd minute of the match. The last 6 Premier League matches involving Leicester and Liverpool have resulted in 2 wins for Leicester and 4 wins for Liverpool and none of the fixtures ending in draws. The last match where Leicester played Liverpool at home at the King Power Stadium was when they met in the Premier League on the 23rd of September in 2017. They lost 2-3 with goals from Shinji Okazaki and Jamie Vardy not enough to deny Liverpool the win thanks to goals from Mohamed Salah, Philippe Coutinho and Jordan Henderson. The biggest margin that Leicester have beaten Liverpool by in the Premier League was the 3-1 win they had on the 27th of February in 2017 at the King Power Stadium. A couple of goals from England striker Jamie Vardy and a single goal from team mate Danny Drinkwater won the match for Leicester in front of 32,034 fans. The highest score that Liverpool have beaten Leicester by in the Premier League era are the 4-1 wins they had on the 20th of October in 2001 and again on the 10th of September in 2016. Looking at the last 6 fixtures that Leicester have played in all competitions, they've won 3, drawn 1, and lost 2 scoring a total of 9 goals (1.5 goals per game) and conceding 6 times. Liverpool's record over their last 6 games is highly impressive as they've won all 6 matches. They've scored more than Leicester, 19 in total (6.33 goals per game) and conceded less (1). Watford v Spurs > Best odds, betting offers & price boosts!